It seems as though the Moscow Mule is making a come back. To be honest, this was a cocktail I always dismissed...until recently. Crazy, I know. It's a "never let you down" kind of drink in my book but for some reason, it's often overlooked, even by yours truly. Y'all, I've overlooked this refreshing beverage for far too long. Here's how it all went down: A few months back I attended a work event where this was the signature drink. Because said event was in June, on a rooftop, in the Atlanta heat, I decided to indulge. I mean, I really didn't have much of a choice, right? Right. Spicy ginger + refreshing lime, what's not to love? It was delightful, even if it wasn't served in the appropriate drink ware. 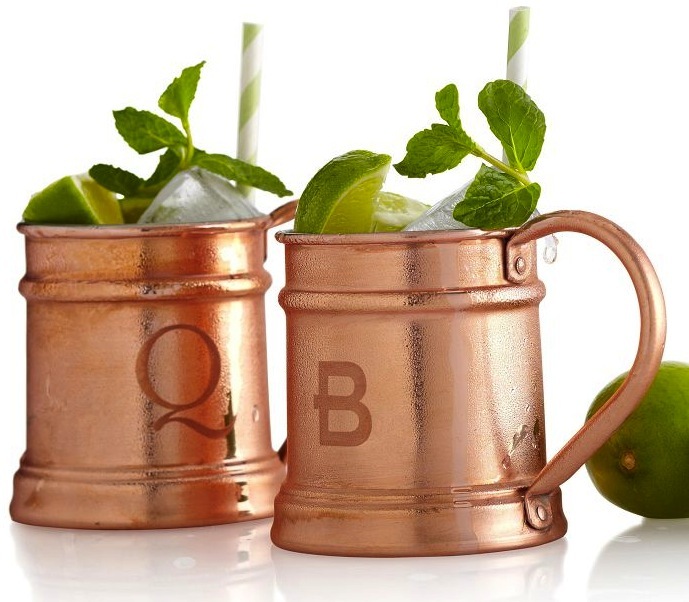 Traditionally, Moscow Mules are served in copper mugs. However, with the, shall I say, popularity of copper these days, they started disappearing from restaurants and bars across America. Copper is also making a come back, apparently. Rarely do you see Mules served the way they were intended to be served. I did find a few spots in California (the birth place of the mule) that still use this classic vessel, but it's a rarity indeed. That being said, imagine my surprise when Mark + Graham offered up these darling mugs... and at an attractive price. Stop. And they can be engraved/monogrammed? Be still my Southern heart. I see a pair of these in my future, even if for nothing more than drinking sweet tea! Curious about the Moscow Mule? Find the recipe here and the history here. I have been enjoying these all summer!! They are so refreshing!